Epidemiological studies have shown that human leukocyte antigen (HLA) allelic polymorphisms are closely correlated to susceptibility to nasopharyngeal carcinoma (NPC), and in a previous study, we showed that HLA-B*46 and HLA-A*02-B*46 haplotypes were strongly associated with NPC susceptibility. In this retrospective study, we investigated the phenotype of the HLA-A and HLA-B alleles and haplotypes and correlated these data to the clinical and pathological parameters of NPC to understand the role of HLA alleles and haplotypes in NPC prognosis. 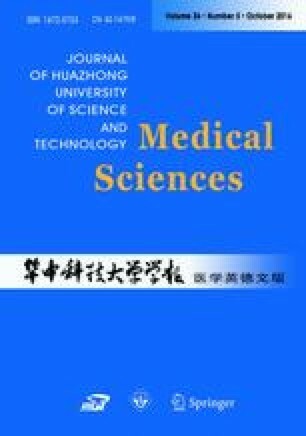 The cohort comprised 117 NPC patients from a Han population in Xinjiang. The local recurrence-free survival (LRFS), distant metastasis- free survival (DMFS), disease-free survival (DFS), and overall survival (OS) were analyzed. The 5-year DMFS of the HLA-A*02-B*46 haplotype carriers and non-carriers was 66.4% and 90.3%, respectively. In addition, age was found to be a prognostic factor for LRFS, DFS, and OS (P=0.032, 0.040, and 0.013, respectively). We found that the HLA-A*02-B*46 haplotype might be a prognostic marker in addition to the traditional TNM staging in patients with NPC. This project was supported by grants from the Chinese International Cooperation Project (No. 2012DFA31560), Key Laboratory Projects of Xinjiang Uygur Autonomous Region (No. 2015KL021), and the Achievement Promotion Projects of the Autonomous Region (No. 201554142).